You have Mobile Home? Here is how to boost cell phone signal in a mobile home. If you are living in Mobile Home most of the time then one major problem you must be facing all the time could be low signal problem. This problem can occur due to many reasons like construction material used in making mobile homes or distance of mobile home from tower. To solve this problem, consumer can install cell phone signal booster in their mobile home. 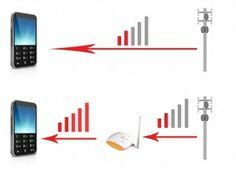 We will explore the reasons of low signal strength in depth and two main reasons are material used in construction of mobile home and the distance between tower and mobile home. It has been seen that mobile homes use to locate typically in village areas where the number of signal towers us to be very low. Due to this the distance between signal tower and mobile home use to be very large. This huge distance causes signal to get weaker as it reaches the mobile home, moreover if it is a mountain or hilly area then the problem gets worst because in that case signal have to go through hills or mountains which lowers its strength. It is seen that such mobile homes to receive almost only one bar signal strength. This is to be noted that older mobile homes use to be covered by heavy metal sheets to give strong support to mobile home but that is not a problem now. Problem now is that new mobile homes use to be made keeping many other important things in mine like new forms of insulation, tinting windows or energy saving materials. 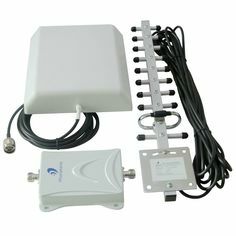 Although these all things are very good for a mobile home but these things causes difficulty for signal to penetrate throughout mobile home. What cell phone signal boosters do? A cell phone booster is a device which can be installed at any place where the minimum one bar of signal strength is available. 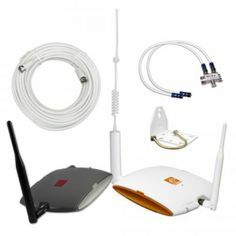 Cell phone signal booster can improve the strength of cell phone signal in no time and all you need to keep in mind is that there should be at least some signal strength to boost. A cell phone signal booster can make signal so strong that it can pass through any kind of wall or it can cover maximum distance. 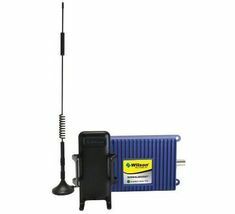 By a normal cell phone signal amplifier you can boost voice call signal but for 3G Data you can buy certain type of boosters which are especially made for 3G Data boosting. A simple online research can make your mind to a certain model of cell phone booster, you should keep your need in mind and should buy only the product which suits you best. As far as installation is concerned then I can literally say that installation of cell phone booster for home, office of mobile home can be easily done in 20-25 minutes. Each and every cell phone booster comes with installation guide which helps throughout installation process. Things like installing Yagi Antenna or installing indoor unit should be done carefully because these things will not work properly if they are not installed according to the guide.